Conor McGregor Vows: I'm Going To Break This Old Man! Conor McGregor adopted a more composed approach to his final press conference ahead of a blockbuster fight with Floyd Mayweather Jr but reiterated his belief he will win inside two rounds. 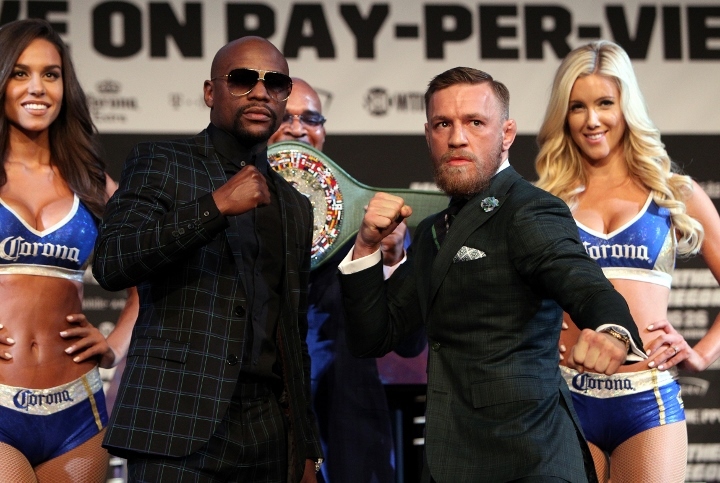 Las Vegas will host the biggest fight of 2017 on Saturday when UFC star McGregor goes toe-to-toe with boxing great Mayweather, the American coming out of retirement to put his 49-0 record on the line. The pair regularly traded insults on a promotional world tour in the months leading up to the bout, but there were no such jibes in evidence at their final press conference on Wednesday. Even when the two boxers posed nose-to-nose at the MGM Grand they behaved themselves impeccably, but McGregor's confidence shone through when addressing the media. "I am very happy with how my camp has gone, it was absolutely amazing," said the Irishman. "We are prepared for 12 three-minute rounds of non-stop pace. I will go forward and break this old man, we are more than ready. "I am going to out-box this man at his own game, that's how skilled I am. "I'm ready for a crazy fight, I do not believe he can give that." And Mayweather's decision to request eight ounce gloves was criticised by McGregor, who believes that gives him the advantage. "He made a big error with the eight ounce gloves, he messed up, he won't last two rounds," McGregor added. "I'm going to break through whatever is in front of me. "When all is said and done, I'll feel sad. You should have left me where I was. "This man is not on my level, he's not even a quarter of the man I am."